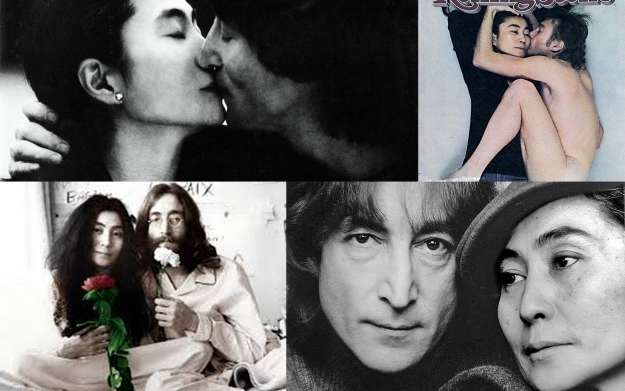 At its inception Ono and Lennon’s relationship was both romantic and artistic. In a meet cute worthy of a romantic comedy, Lennon and Ono met at a gallery where Ono’s work was being exhibited. Their first conversation centered on art; Lennon asked to participate in her piece, “Hammer in a Nail” and she said no. She didn’t know who the Beatles were, but the two eventually came to an agreement: Lennon would hammer in an invisible nail in exchange for an invisible five shillings. “A dream you dream alone is only a dream. A dream you dream together is reality.” — Yoko Ono. Smiling is special to Ono; she believes that smiling “is the simplest thing to make yourself healthy and make others feel good.” Ono suggests smiling in the mirror everyday and actually has a goal of taking a picture of every single person in this world wearing a smile. 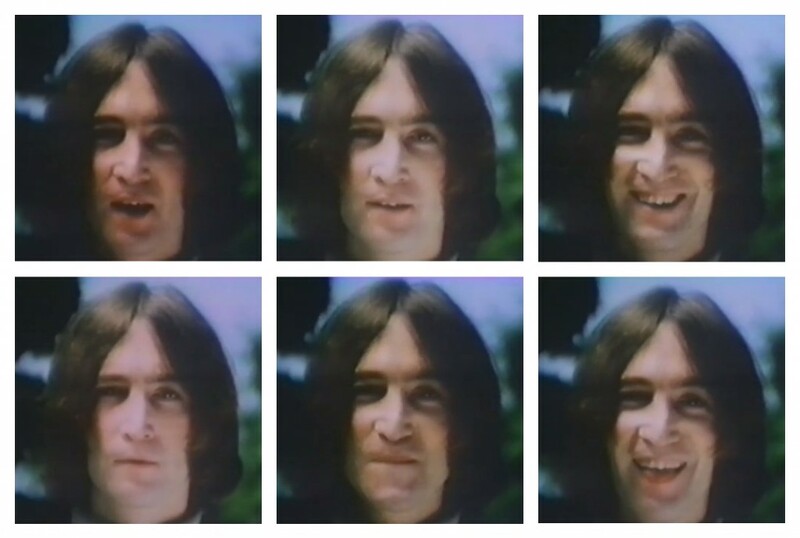 She began working towards this dream by shooting SMILE (also known as Number 5), a 52 minute film, which records Lennon’s facial expressions in the garden of his English home. Funnily enough, although this film focuses entirely on one of the most famous men ever, when it was originally shown half of the audience walked out after the first half hour. 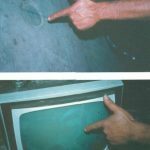 A few decades later, Ono has waded into the millennial generation with #smilesfilm, a participatory art project where people around the world upload a picture of themselves smiling. Anyone can tweet or instagram a photo of themselves smiling, add the hashtag, and become part of the project. Watch all 52 glorious minutes of SMILE here. In Amsterdam’s Hilton hotel, surrounded by hand-drawn signs, flowers, and angelic white pajamas and sheets, the couple invited the press to come in to discuss peace, for 12 hours a day. 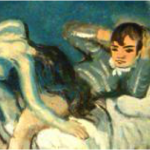 Although having one of the most famous musicians in the world and his famous artist wife lounging in bed all day sounds scandalous, Lennon and Ono were fully covered, and “looked like angels” (in Lennon’s own words.) The lack of sensationalism is even more notable when one remembers that Ono and Lennon were on their honeymoon at this time: in fact using the publicity from their wedding to bring attention to the Bed-In. Lennon was legendary for his dedication to promoting global peace during the Vietnam War era. Ono released a 70 minute video containing footage of their two bed-ins, which can be watched here. Double Fantasy, an album released by Lennon and Ono, served as a sort of comeback album for the former Beatle who had taken a break from creative endeavors to take care of their son Sean. Even though it ended up winning a Grammy, Double Fantasy was attacked by critics. Charles Shaar of NME said “sounds like a great life but makes for a lousy record.” Interestingly enough, it was Ono who was lauded for taking the most musical risks and not Lennon, the career musician. After Lennon’s death Ono shut herself off from the world, going into complete seclusion. One of the darkest periods in her life, it took Ono a long time to mourn and recover. She credits smiling with helping her move on from her grief, taking her own advice and smiling in the mirror every day. Ono also dedicated herself to preserving Lennon’s memory. 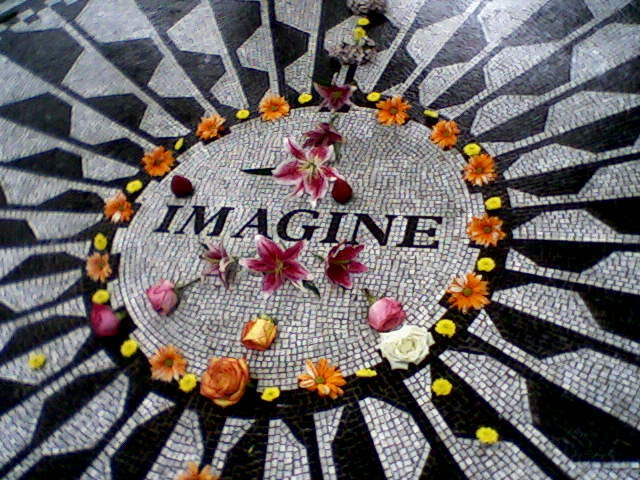 From working with the city of New York to create the Strawberry Fields memorial to John Lennon in Central Park (across the street from their apartment in the Dakota building on 72nd Street), to incorporating their shared passions into her artworks, she has never stopped remembering Lennon and promoting their shared message of peace. Ono’s Wish Tree works are both an ode to Ono’s childhood in Japan and a renewal of the spirit of her and Lennon’s mission to promote peace and world unity through art. The participatory nature of this work is similar to that of “Hammer-in-a-nail,” the installation that brought Ono and Lennon together. Begun some time after 1981 this installation consists of the planting of a tree native to the region and an invitation to write down on paper and tie to the tree your wishes. Wish Trees have been planted all over the world and are still being planted today. After a tree has been filled with wishes Ono takes all the individual pieces of paper and buries them in the earth. In Arising, Ono calls attention to the plight of women worldwide. Reminiscent of Bed-In, Ono uses the unusual, even shocking or scandalous, to bring the world’s attention to an important global issue; the reality of being a woman today. Advocating for peace towards women by exposing the harm done to them, Ono solicits contributions, asking women to send her photos of their eyes as “testaments of harm” that have been done to them solely for being female. The Imagine Peace Tower is the culmination of Ono’s decades long work in spreading her and Lennon’s message of peace to the world. It is an outdoor artwork situated in Viðey Island in Reykjavík, Iceland that “emanates wisdom, healing and joy. It communicates awareness to the whole world that peace & love is what connects all lives on Earth. Not only is the tower a literal beacon of peace, it is also another way in which Ono continues to remember Lennon. When the tower is lit from October 9th (Lennon’s birthday) until December 8th (the date of Lennon’s death) and on February 18th (Ono’s birthday), she and Lennon are joined in a striking beam, bursting from the tower like a Northern Light. Further, Ono uses the tower to synthesize her works into one harmonious creation: all of the wishes tied to her wish trees are buried in front of The Imagine Peace Tower and her newest 2016 installation, Arising, will be exhibited at the Reykjavik Art Museum, near the tower. Learn more about Yoko Ono on The Art Story. 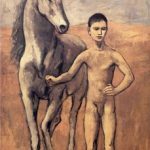 This entry was posted in Music, Relationships of Artists and tagged 1960's, 1970s art, conceptual art, john lennon, MOMA, yoko ono on October 9, 2016 by Madeline Kessler.